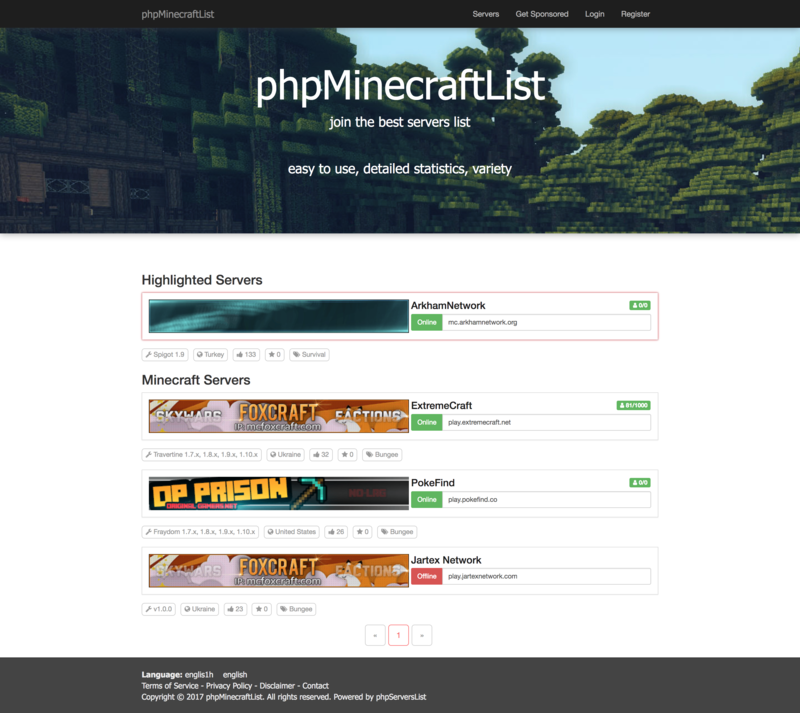 Premium Minecraft Servers List is a complex servers management system which allows users to track their own servers and visitors to find out great servers from all over the world. Our product is very flexible and, with a little imagination you can make your own unique servers list website. Check out all the features available in the following list and live on the demo below! SRV Checker Ready: Already implemented srv checker for servers who need that extra check. Cron Job Ready: Ready to use cronjob for keeping the servers on check at all times. 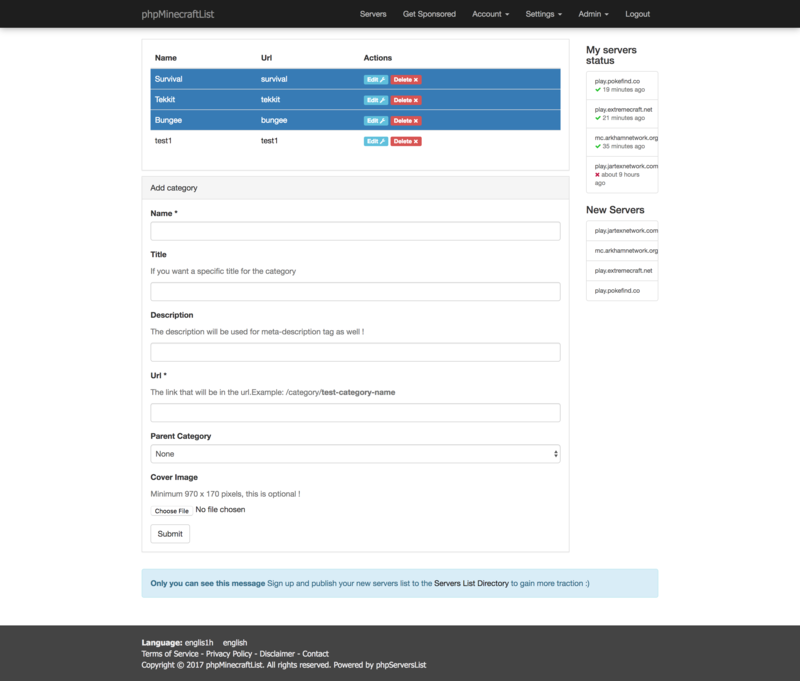 Filters: Multiple types of filters so the users can find the perfect servers for them. 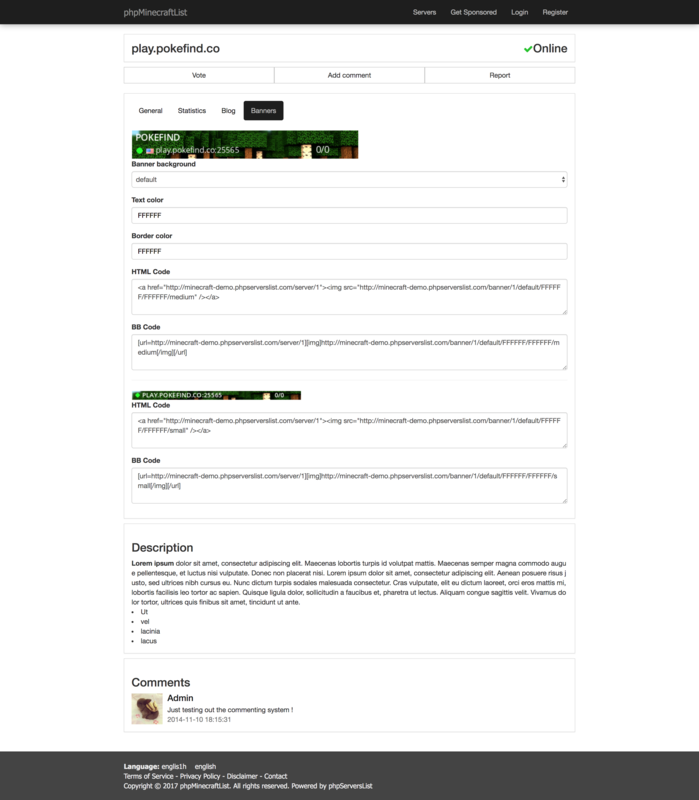 Mini Blog System: Each server page has a mini blog system so that owners can announce important news to their users. Voting System + Votifier: Each user can vote a server once per day so that servers get a better ranking position and more exposure. Comments System: Ajaxed comments system for each server with reCaptcha and live updating after submiting a comment. 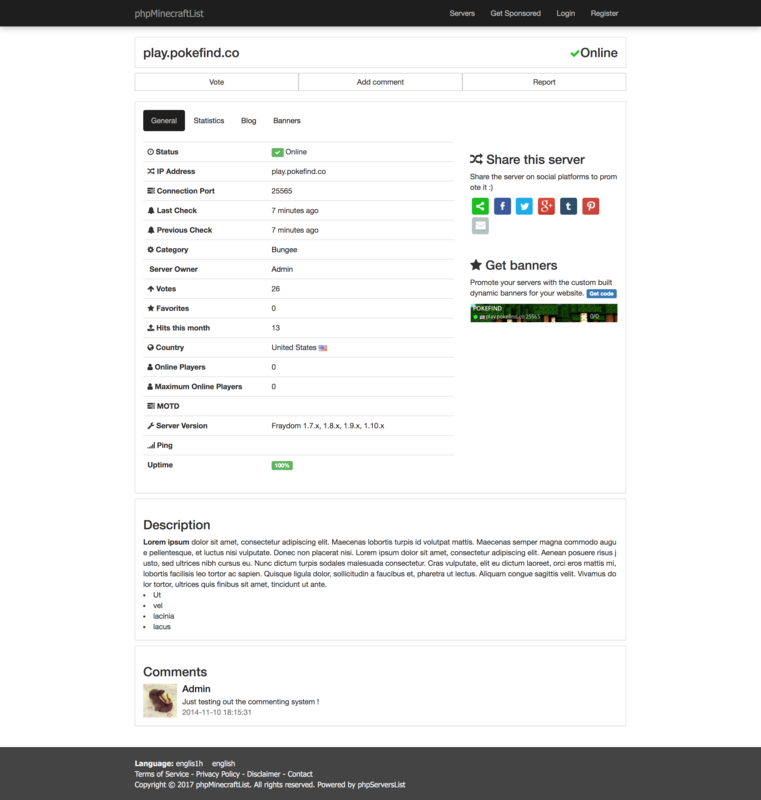 Server Description: You can add your own description with some predefined BBCodes for each server you add. 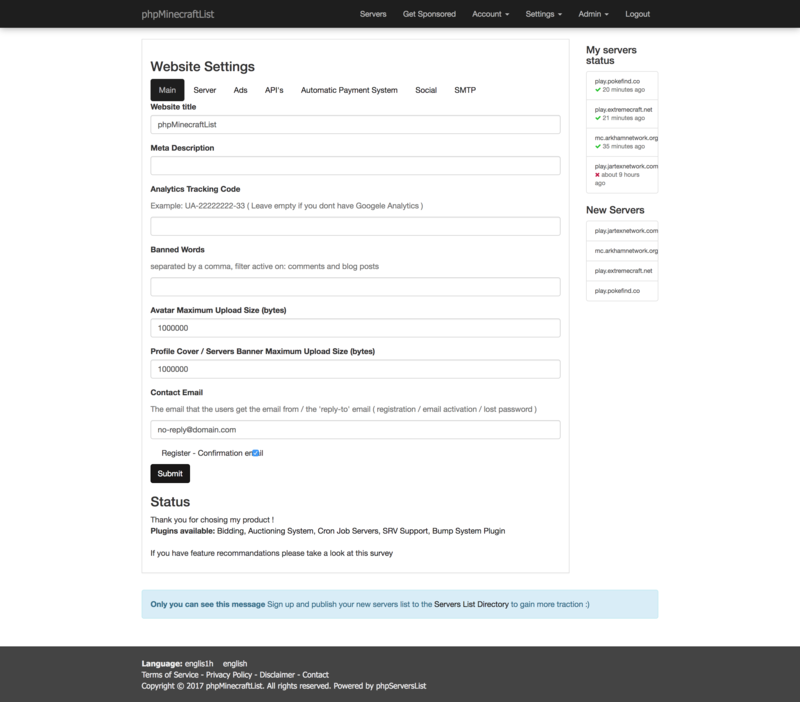 User Profiles: Custom user profiles with custom Avatar, Cover, Social details and of course, their own servers. Video Presentations: If some servers have their own youtube presentation video, they can add that too. 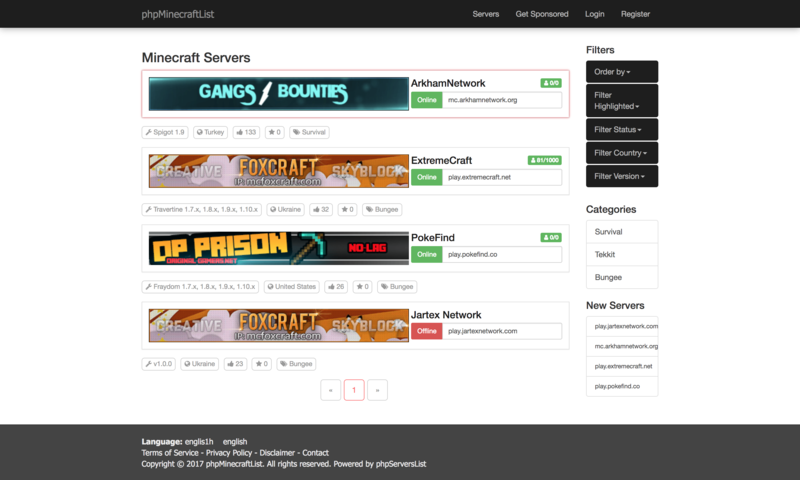 Server Banners: Each server have the option to add their own custom banner. 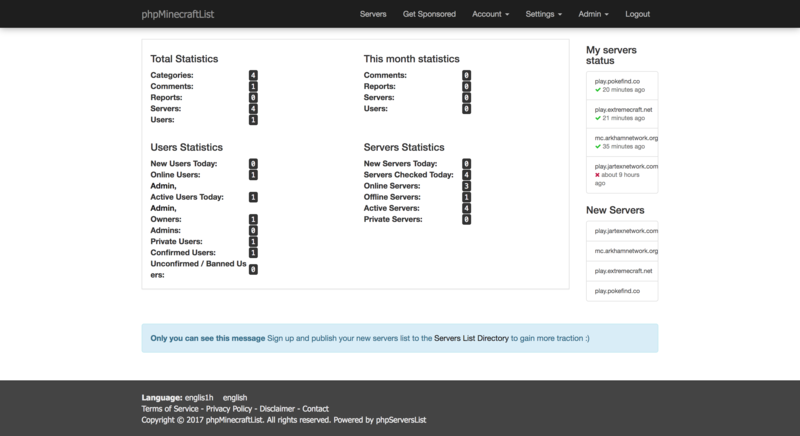 Quick Servers Status: If you are logged in, you can find your own servers status in the sidebar. Country Flags: Select your servers country so users from your region can find their countries best servers. Automatic Payment System: You can earn money on paypal by selling Highlighted / Sponsored slots on your servers list. Censor Words: Censoring system that apply on server comments, blog posts. Servers Cache System: Set in the admin panel after how many seconds a server should be checked again. We provide Script Installations and also Full Server Installations from stratch for DigitalOcean. Head over to phpServersList Installation for more details. This is a big project and it had a lot of updates over the last years. This is gonna be the last update for this project at this time. Auto detecting https, recaptcha won’t have any problems on https websites now. 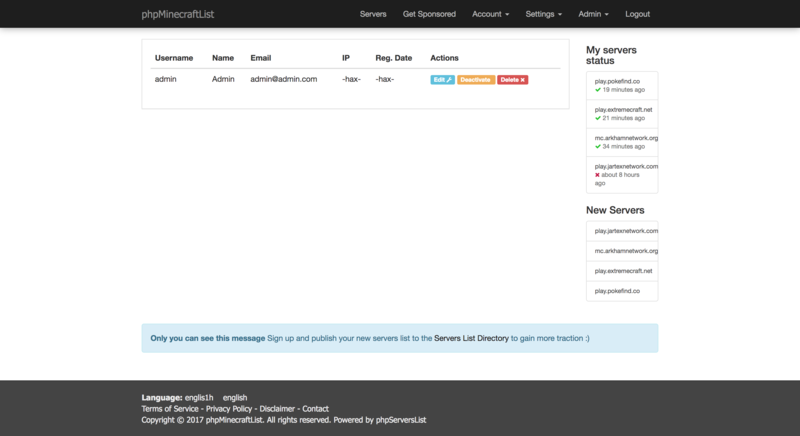 Added a new column to the servers page with Sharing and Dynamic Banners promotion. Fixed server website not showing in the servers page. Fixed live banners HTML/BB Code not showing until the the text / border color is changed. Server Page: Fixed showing the server as online even if the game server is actually offline. Fixed the category covers required sizes. Fixed server’s name being cut after 16 characters.